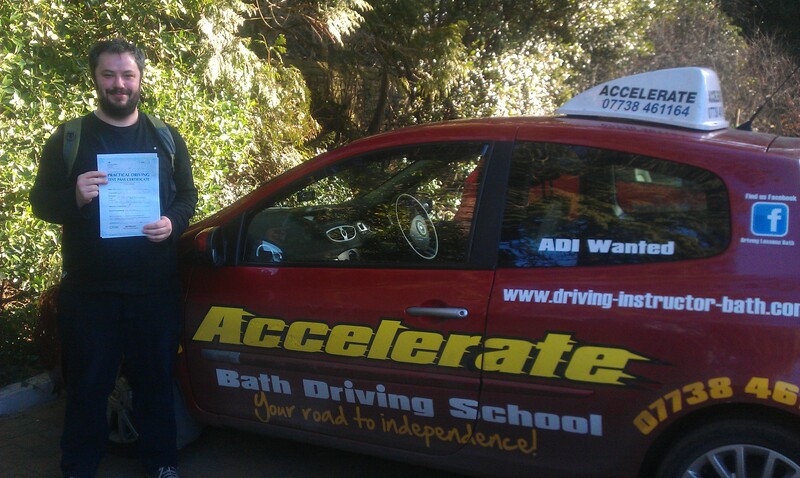 Big well done to Iain Grundy of Bath who passed his practical driving test on the 6th Feb at Kingswood test centre in Bristol, Iain kept his calm and drove really well to gain his full driving licence. 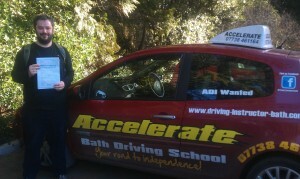 I am pleased that you passed today, so now you can go and visit your family whenever you like. 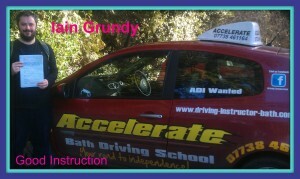 You were always calm and polite on your driving lessons, it was a pleasure to teach you to drive. 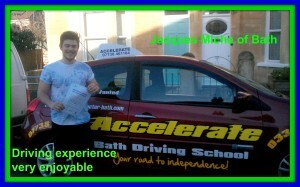 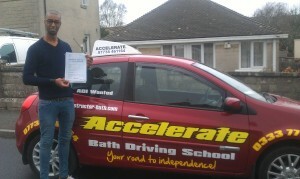 All the best from Stephen Paraskeva your driving instructor at Accelerate Bath Driving School. 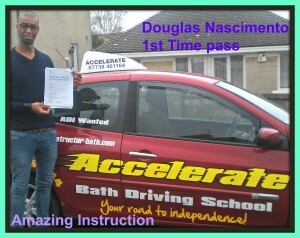 Congratulations to Douglas Ap Do Nascimento who passed his practical driving test 1st time with just 3 minor faults. 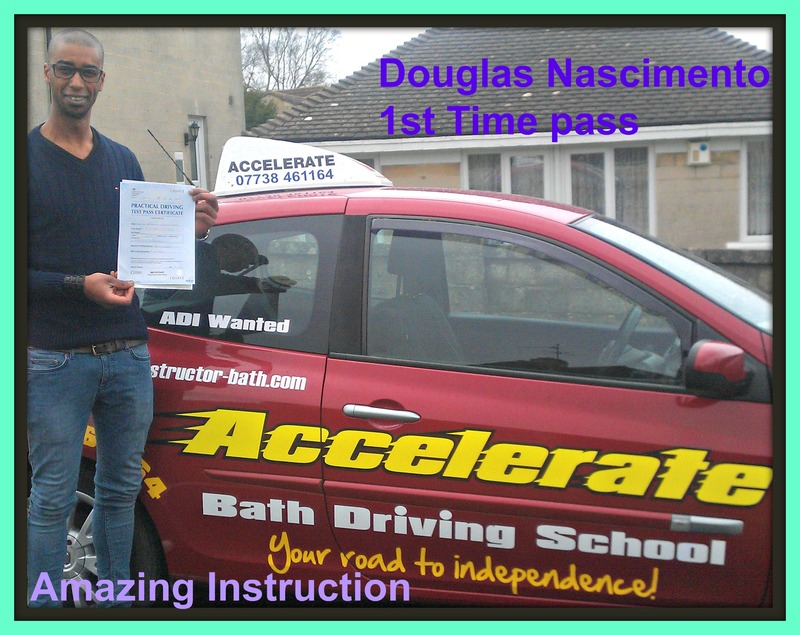 Douglas took his driving test at Kingswood test centre in Bristol, you showed the examiner that you had excellent control of the car and now you have your freedom to travel when ever you want. I really enjoyed meeting you and teaching you on your driving lessons, all the best from your driving instructor Stephen Parskeva at Accelerate Bath Driving School.